At Exposure Selfie, our whole company was built on the idea of a good time. We believe that photo opportunities are the best way to get every guest and attendee involved in the fun! We’ve always been focused (no pun intended) on ensuring that what we do enhances every event, making friends out of strangers and family out of friends. Surpassing the industry standard for suitable service, we supply a level of care and superior equipment that is designed to ensure more than mere satisfaction — we guarantee a great time. 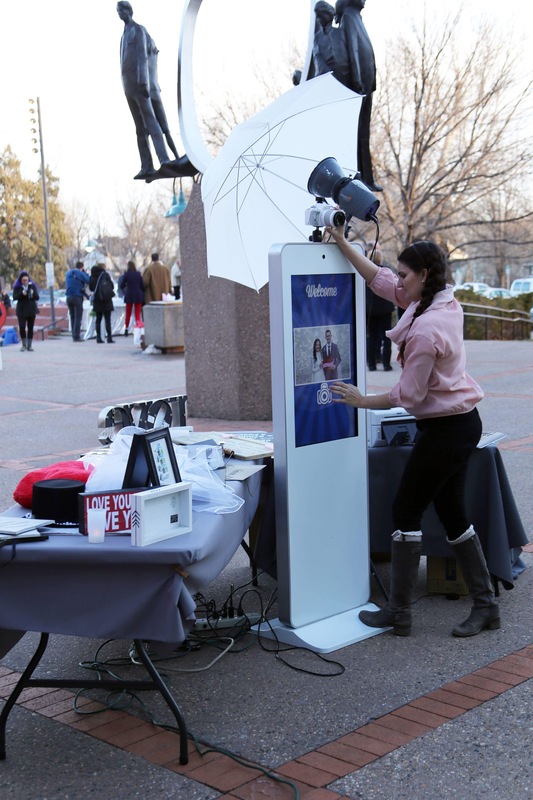 Serving Northern Colorado for years, we have become one of the most requested and popular selfie booth vendors in the region. Backing our exemplary service with creativity, innovation and a commitment to fun, our personal attendant will provide a friendly, dynamic experience for all. Equipped with the finest in wifi-enabled open air photo booths, we are able to download, print and store the photographs of your event without issue or risk of loss. Having run for a variety of special events, private parties, fundraisers and corporate events, we have the skills, knowledge, and experience to deliver the best in on-site photo booths. Invite Exposure Selfie to your next event to add that memorable touch that all your guests will appreciate. Contact us to book your event now. Guests get their photos printed out in seconds by our super fast top of the line printer. Because we offer unlimited prints, every guest walks away with a print in hand. All the pictures we take are yours to keep on a USB drive at the end of your event. With the touch of a button you have the option to send pictures to yourself or to your friends who are missing the party! We will work with your vision to design a photo strip frame unique to your event. This can include any text or logos you’d like, and makes for a great way to commemorate your event or promote your business. Transport your guests to NYC for New Year’s Eve or to a beach during a winter wedding! The green screen provides endless opportunities for scenery or simple backgrounds; no need to worry about a backdrop. We recommend having a few different background choices available, and your guests pick theirs right before their photo is taken.